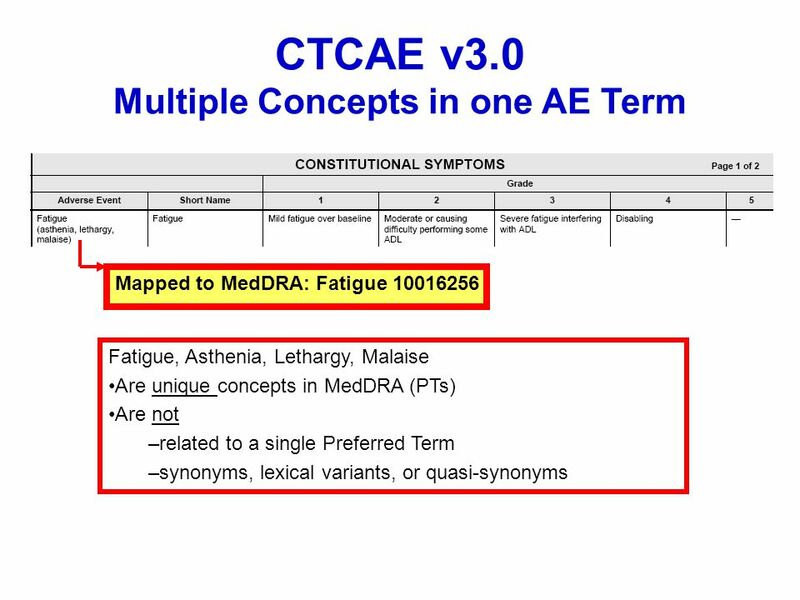 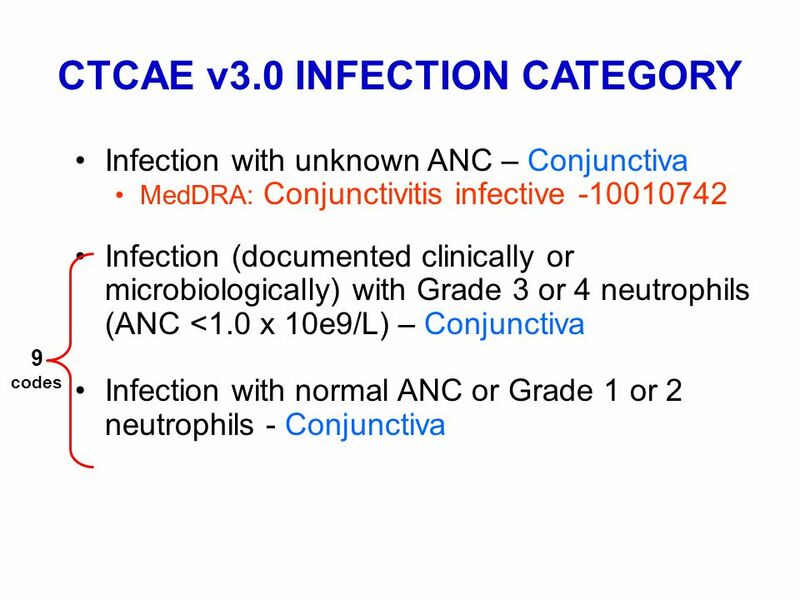 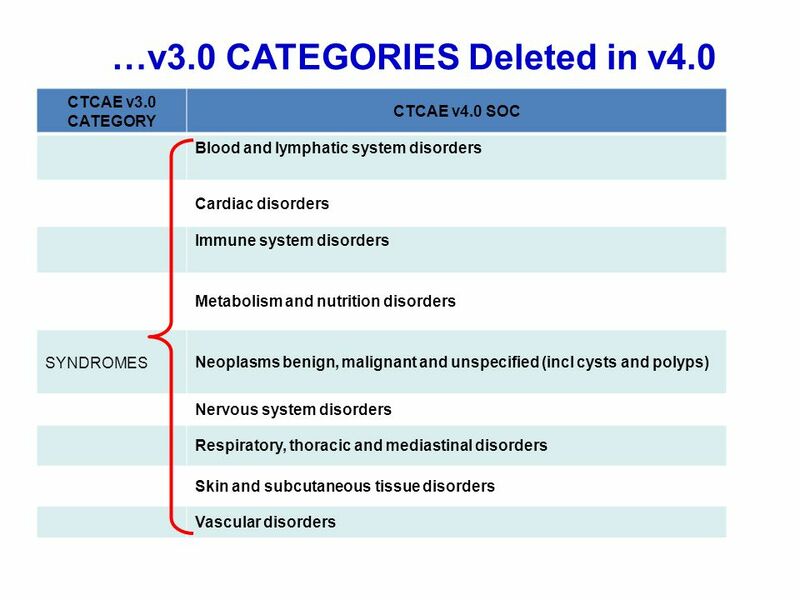 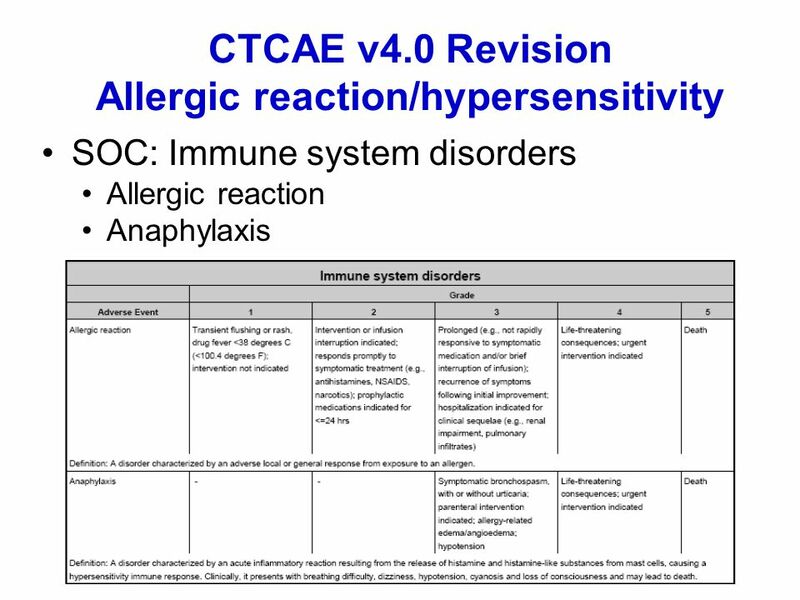 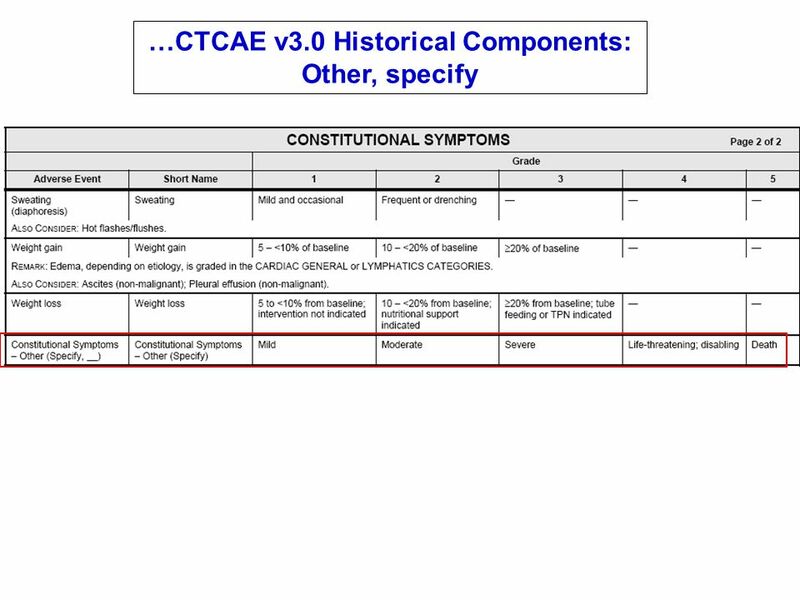 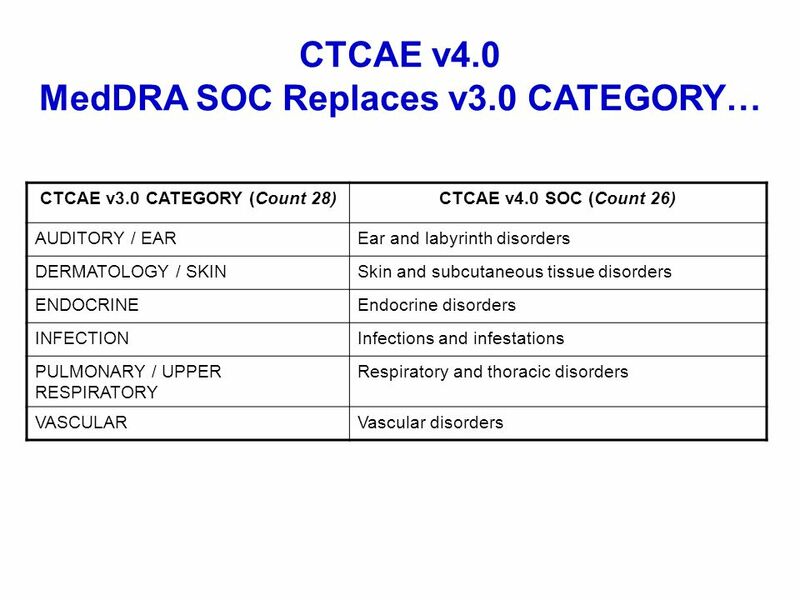 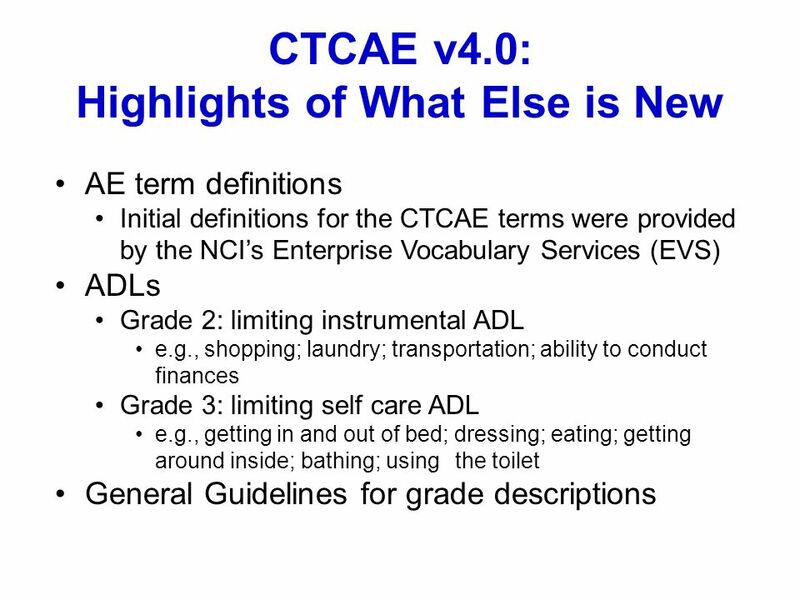 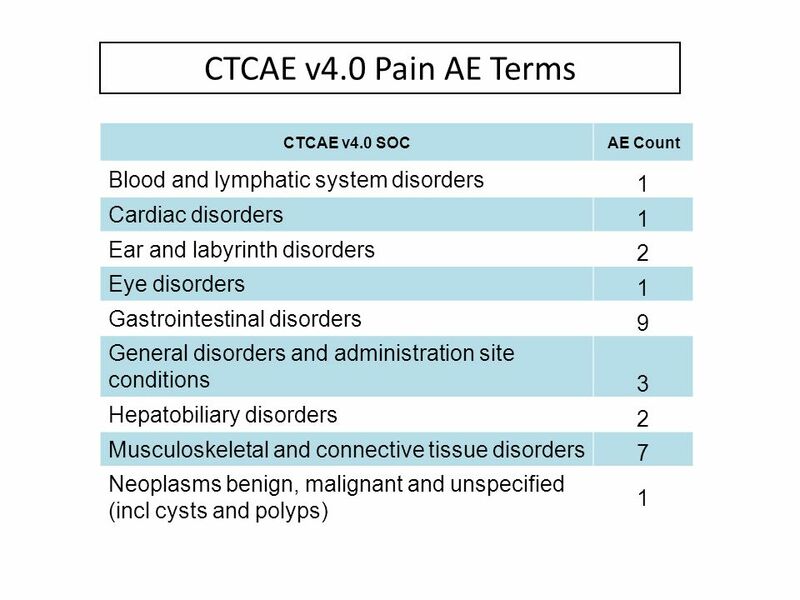 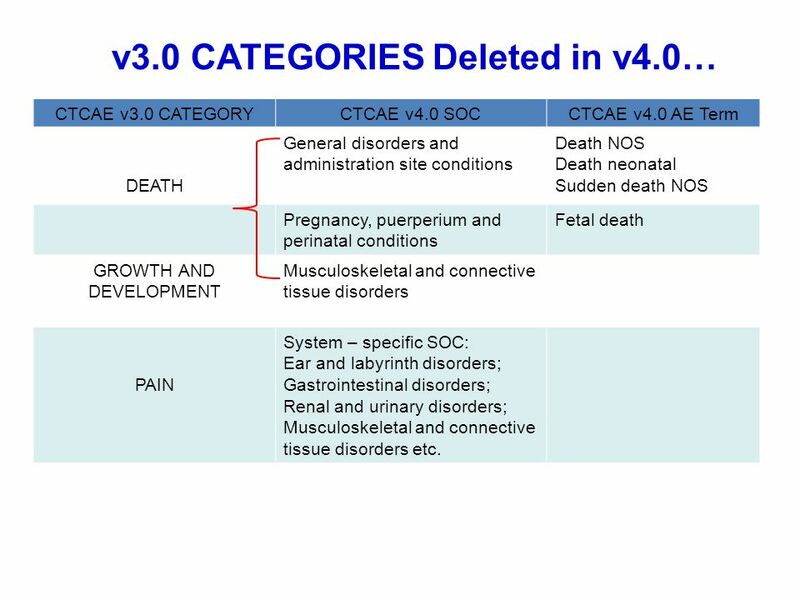 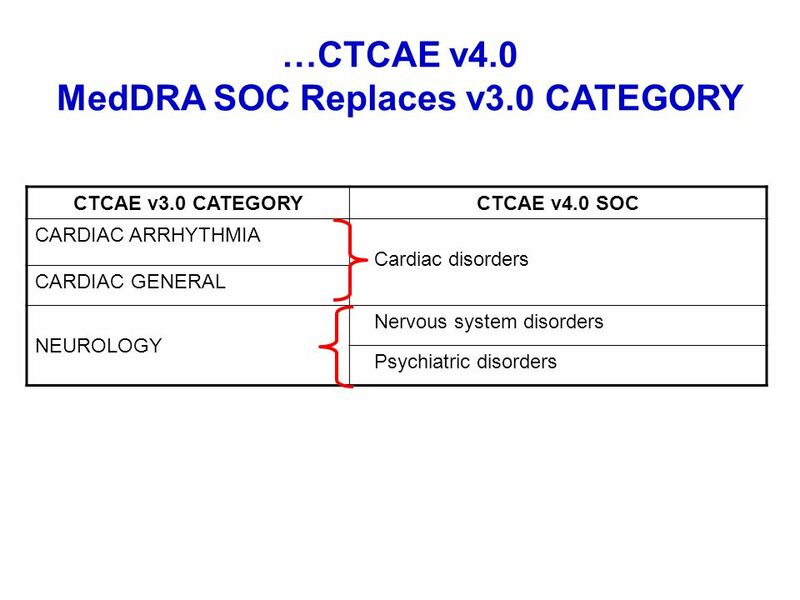 CTCAE v3.0 CATEGORY CTCAE v4.0 SOC CTCAE v4.0 AE Term DEATH General disorders and administration site conditions Death NOS Death neonatal Sudden death NOS Pregnancy, puerperium and perinatal conditions Fetal death GROWTH AND DEVELOPMENT Musculoskeletal and connective tissue disorders PAIN System – specific SOC: Ear and labyrinth disorders; Gastrointestinal disorders; Renal and urinary disorders; Musculoskeletal and connective tissue disorders etc. 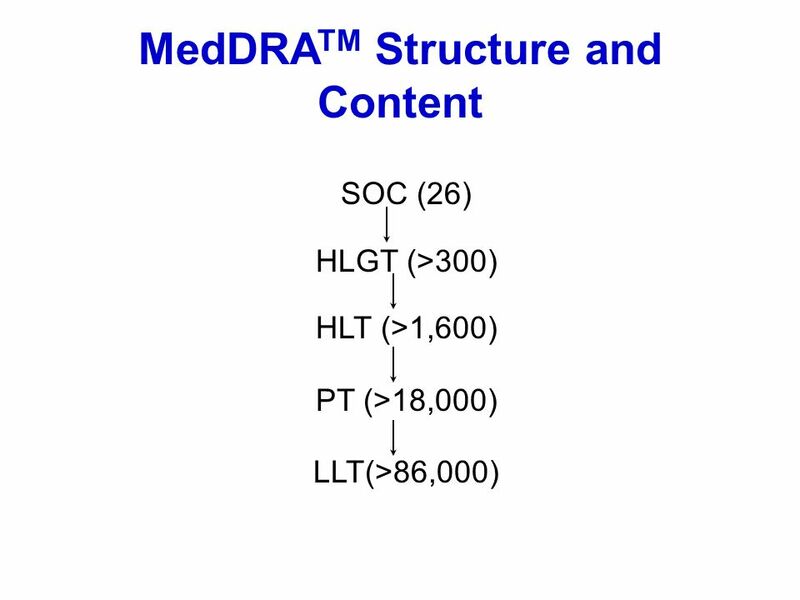 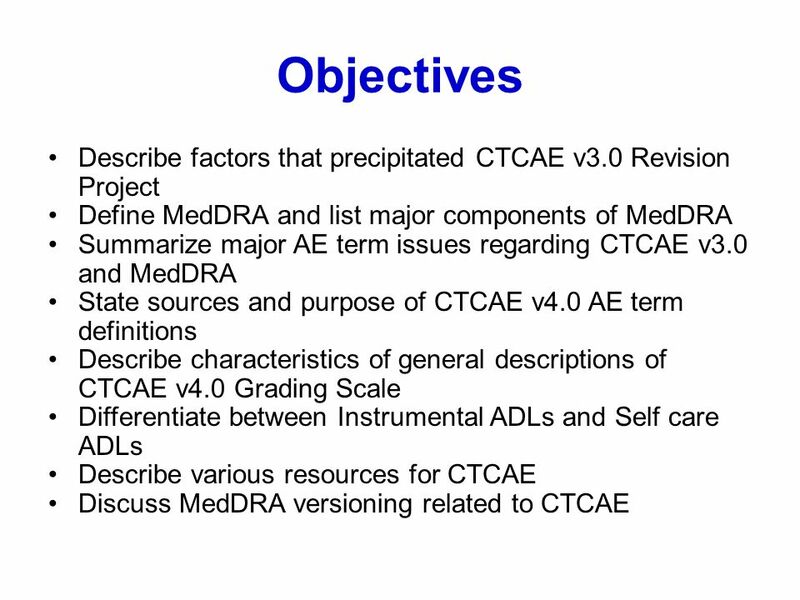 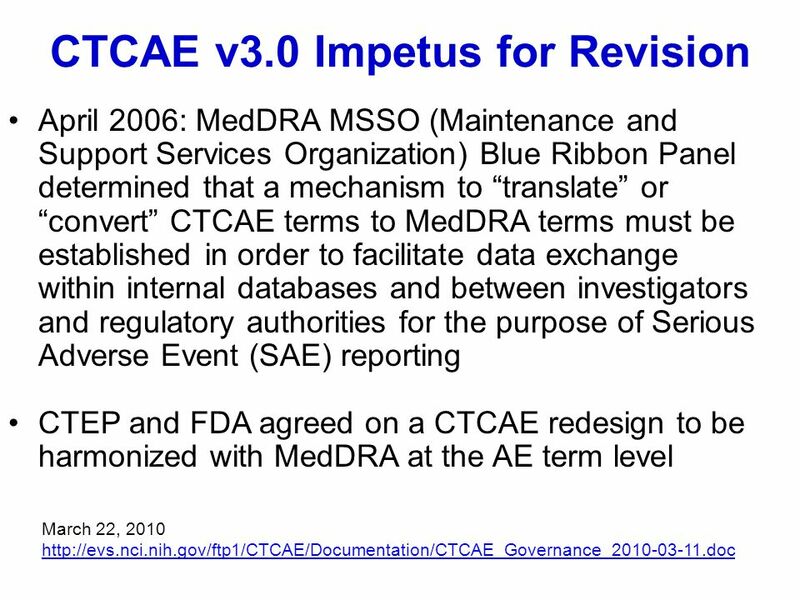 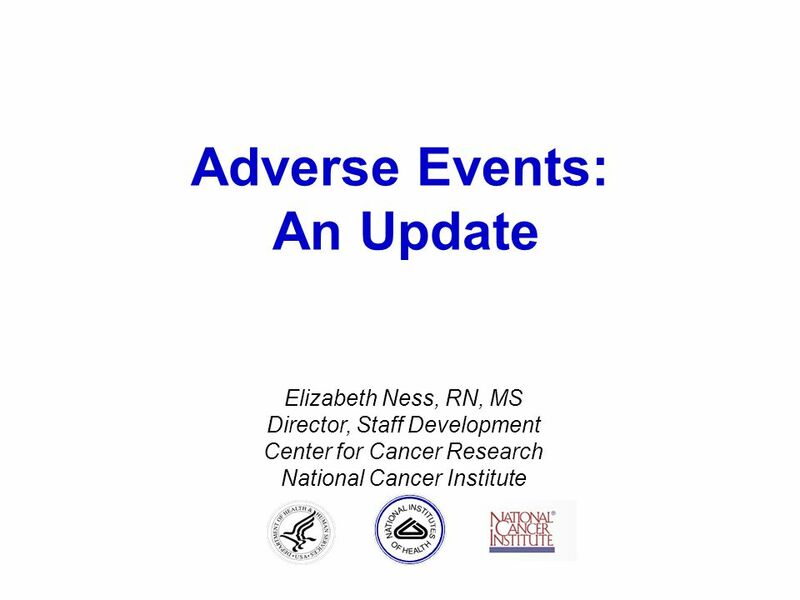 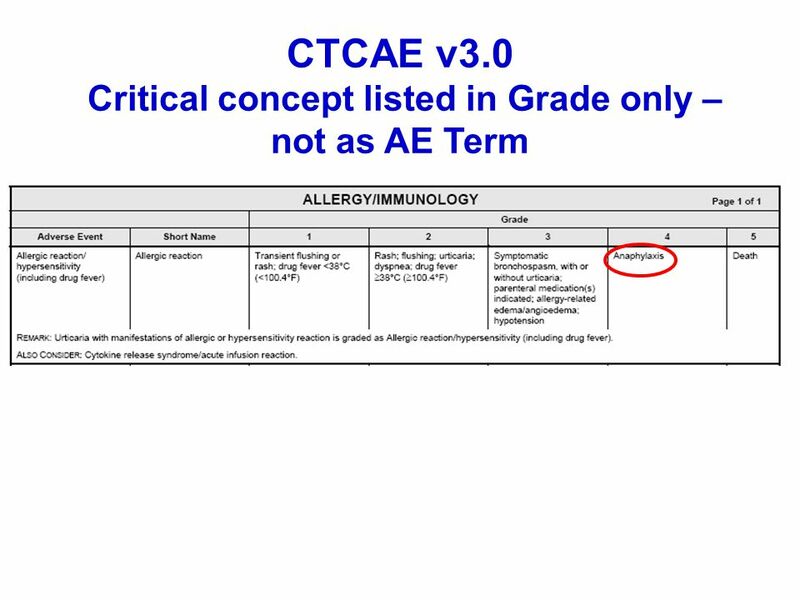 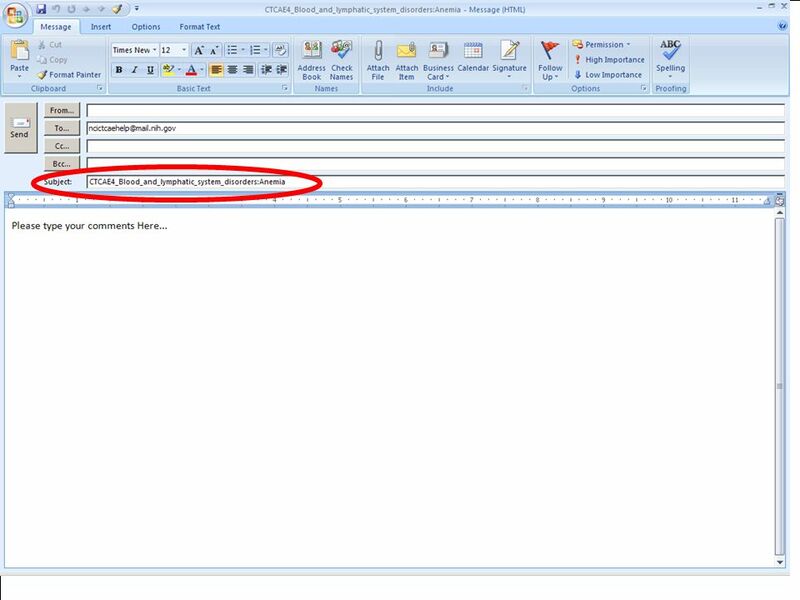 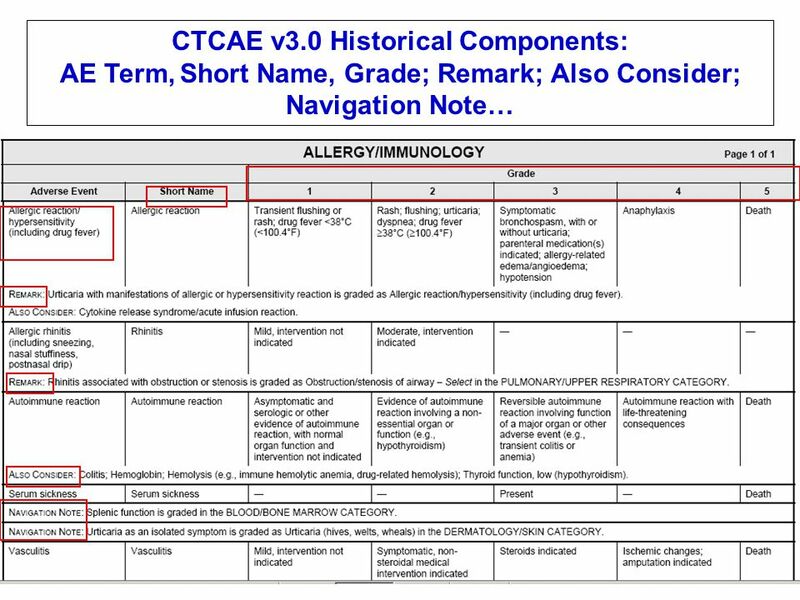 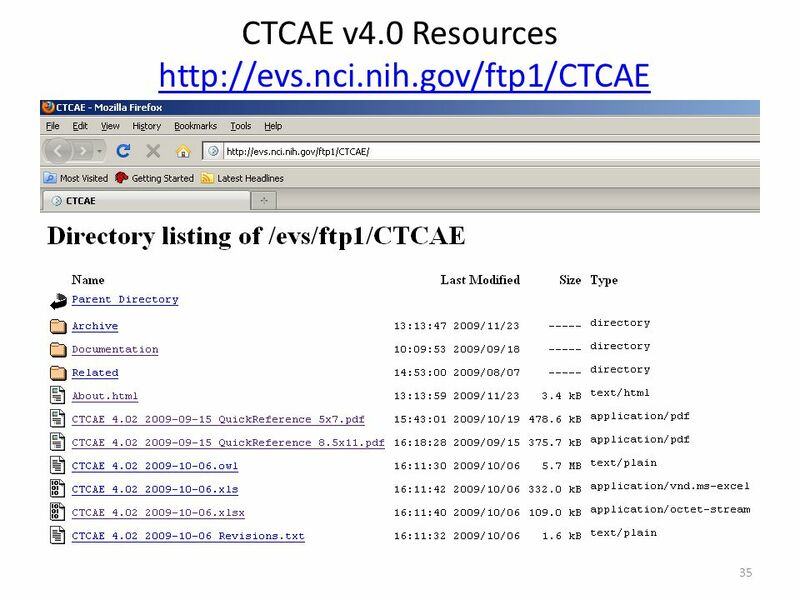 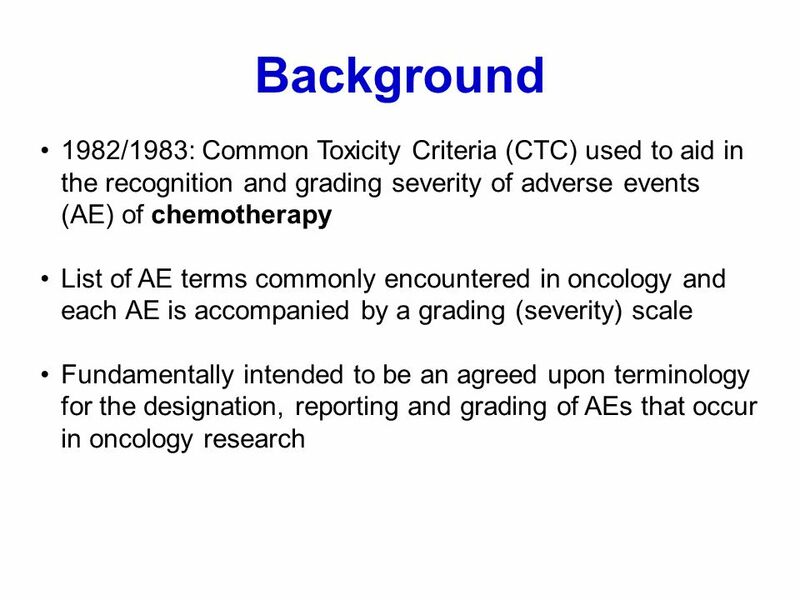 Download ppt "Adverse Events: An Update"
HL7 Version 3 Laboratory Result-based Adverse Event Assessment Message Specifications RCRIM Technical Meeting September 18, 2007 Jennifer Neat Project. 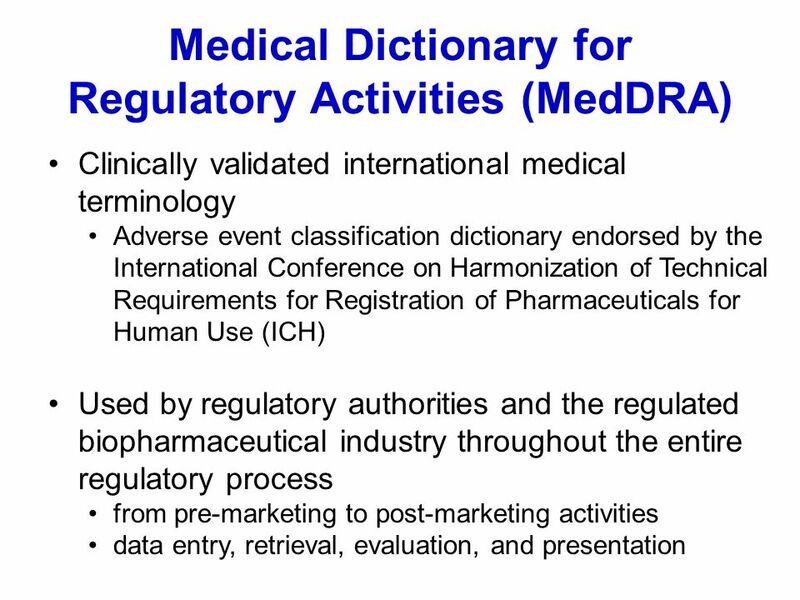 The Information Professionals Role in Product Safety Jack Leitmeyer Director, Adverse Experience Information Management Worldwide Product Safety Merck. 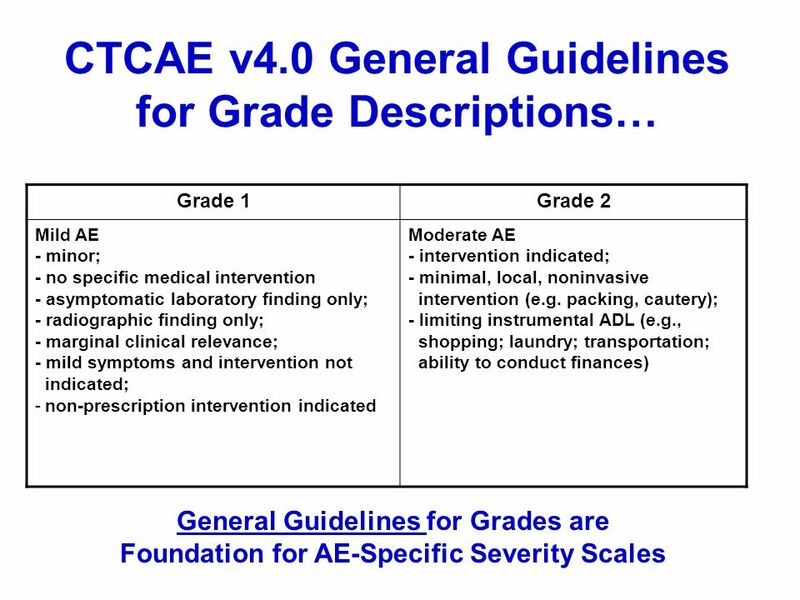 ACRIN Fall Meeting 2009 ACRIN Adverse Event Reporting Manual Revisions Presented by: Cornelia Tsikos, BS, MS.
A Workshop Facilitated by Glenda M. Payne, RN, MS, CNN ESRD Technical Advisor, CMS Regions 4 & 6 Dallas, TX. 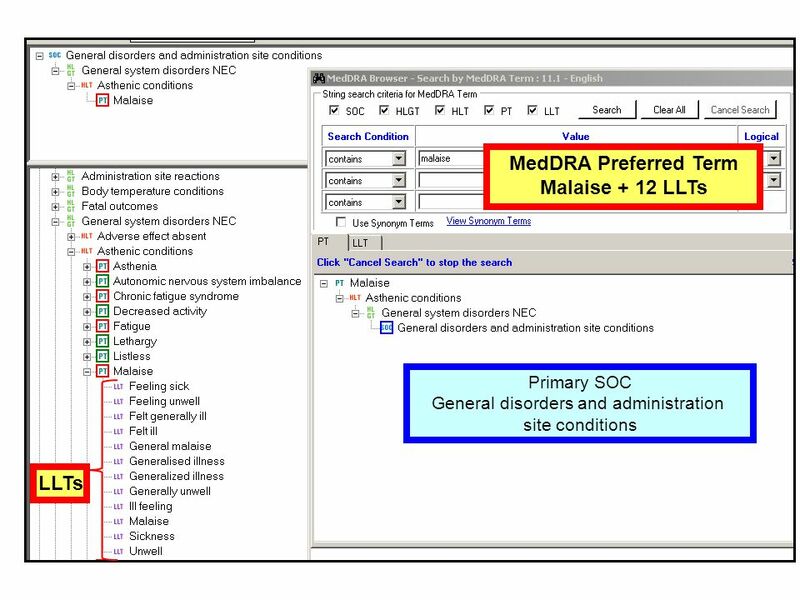 Bayesian Hierarchical Models for Detecting Safety Signals in Clinical Trials H. Amy Xia and Haijun Ma Amgen, Inc. MBSW 2009, Muncie, IN March 20, 2009. 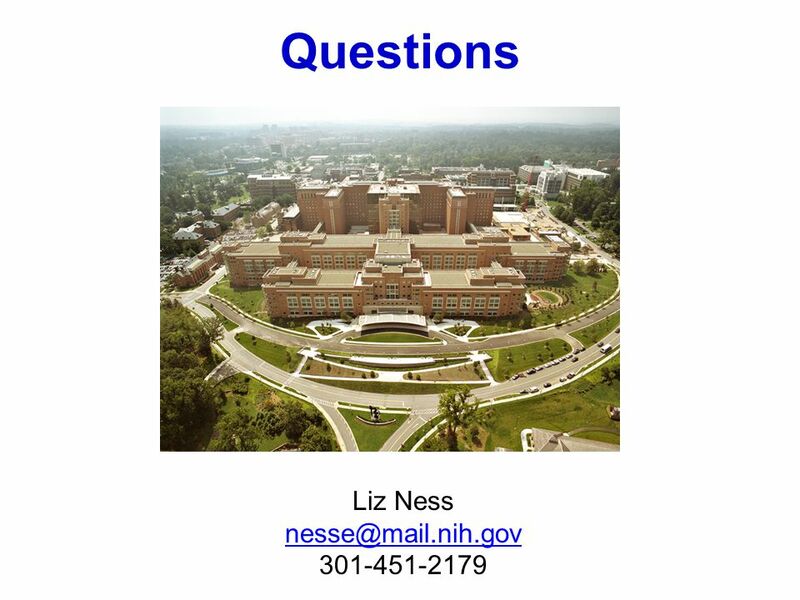 The Brighton Collaboration: An Overview and Preparedness for Pandemic Influenza Jane Gidudu MD, MPH Team leader April Compingbutra MPH, Paige Lewis MPH. 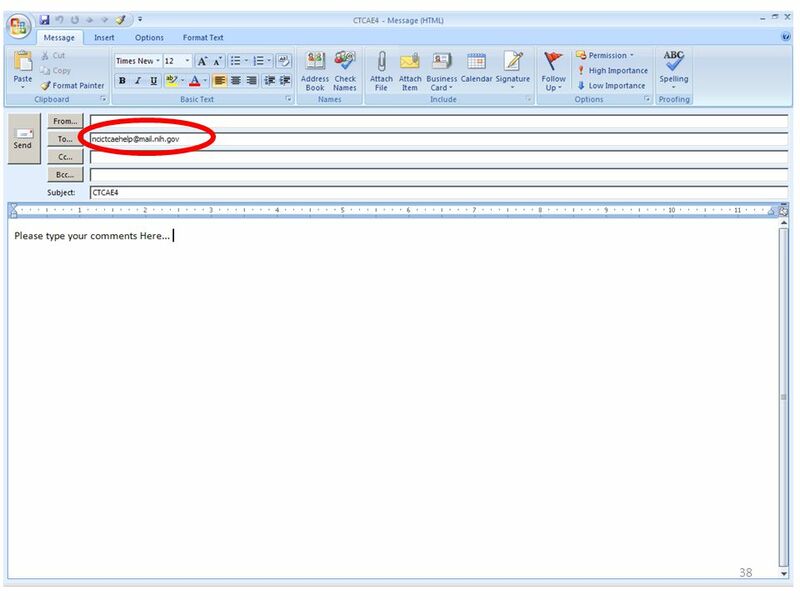 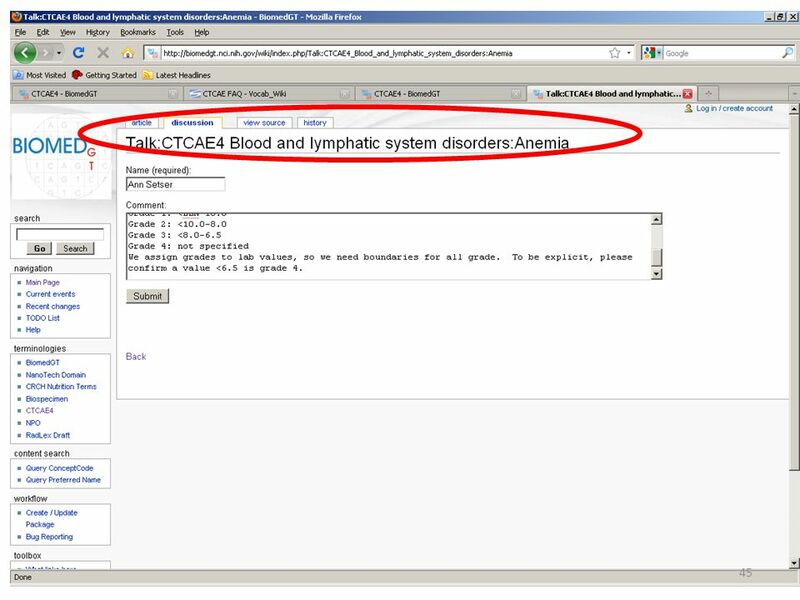 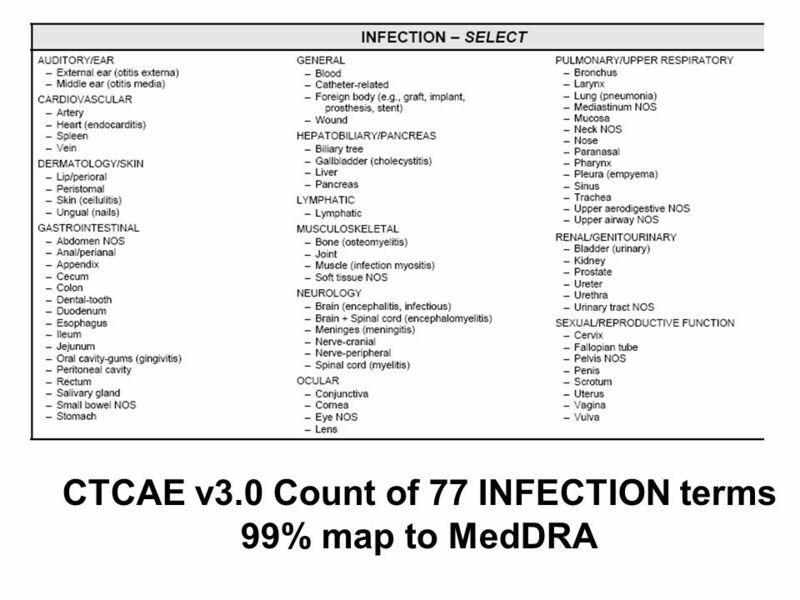 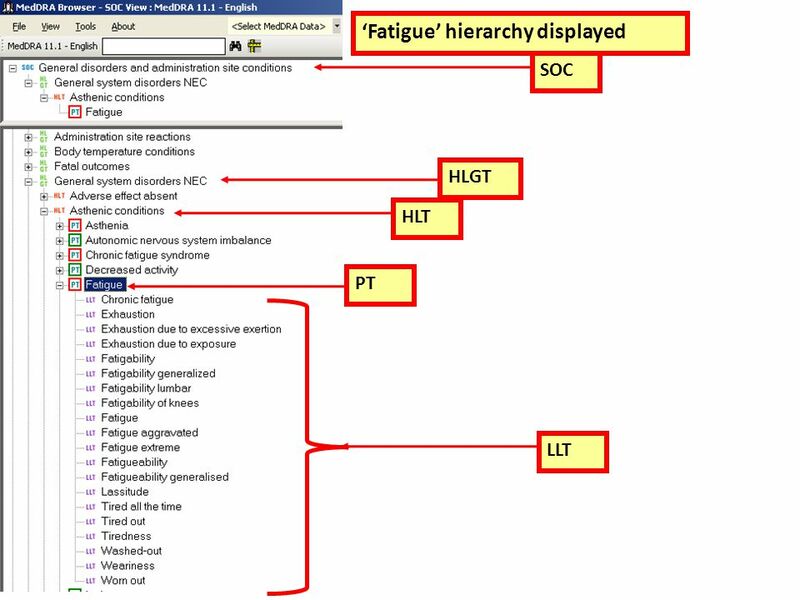 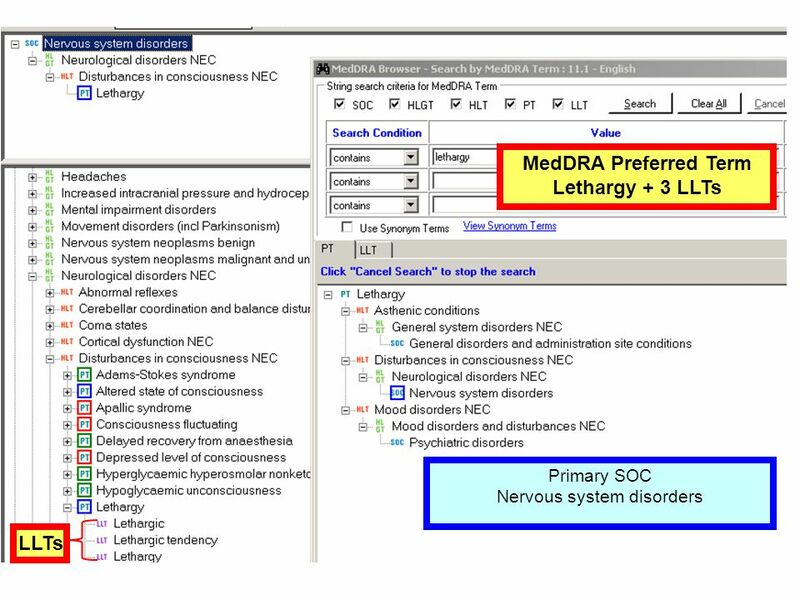 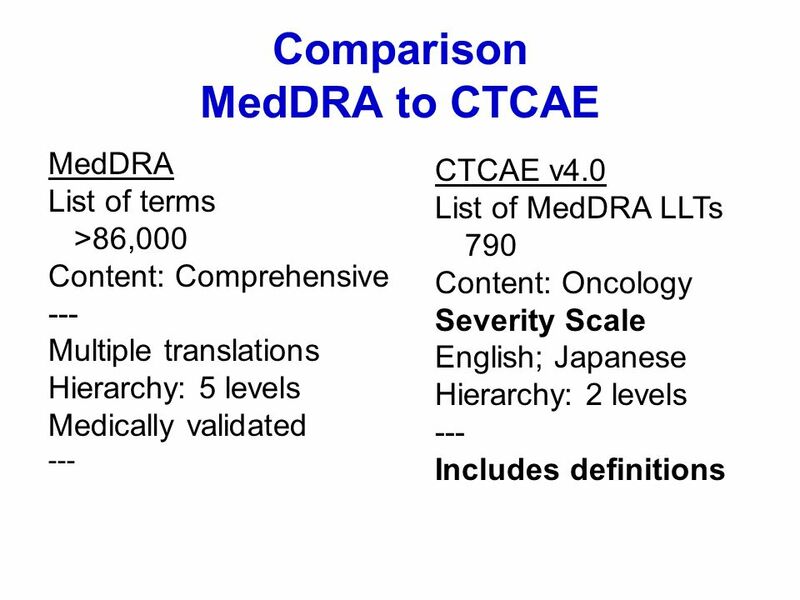 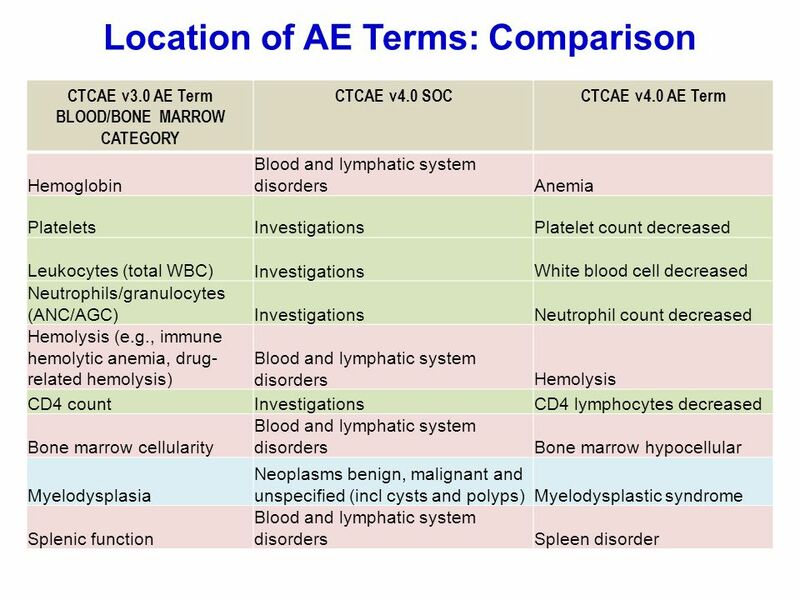 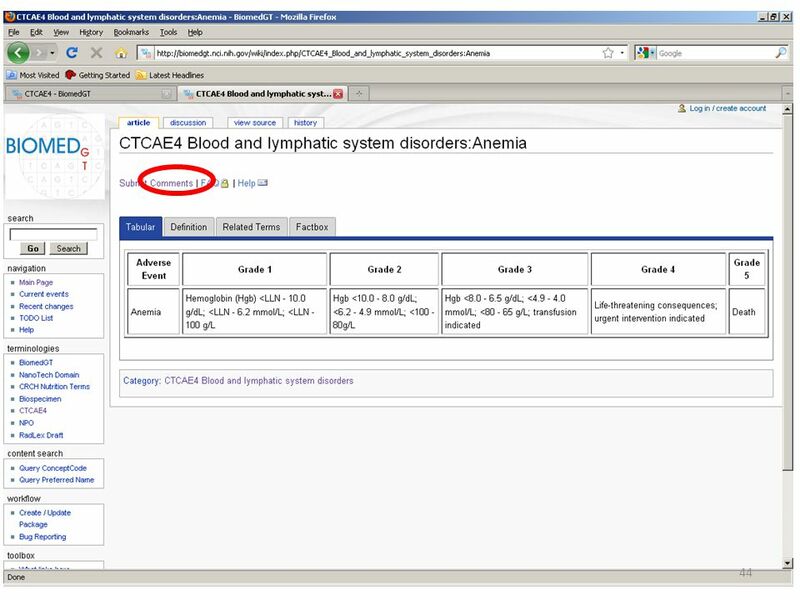 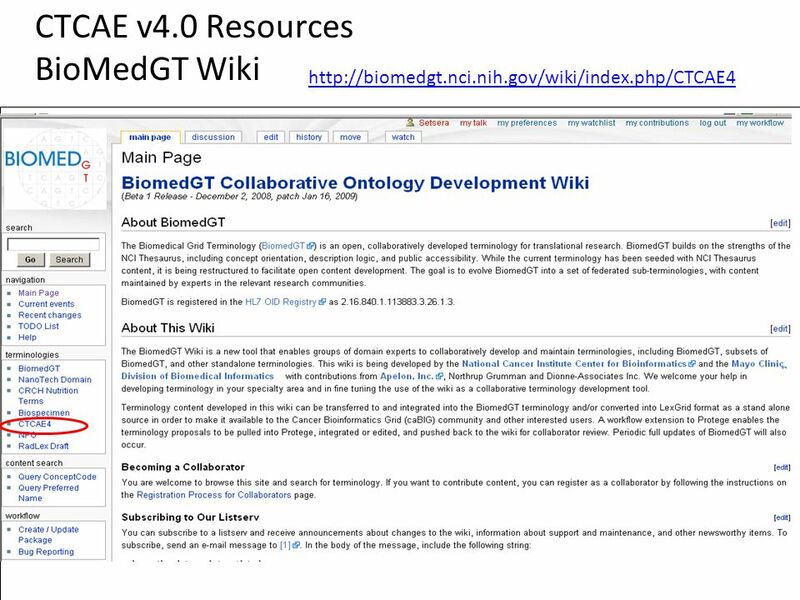 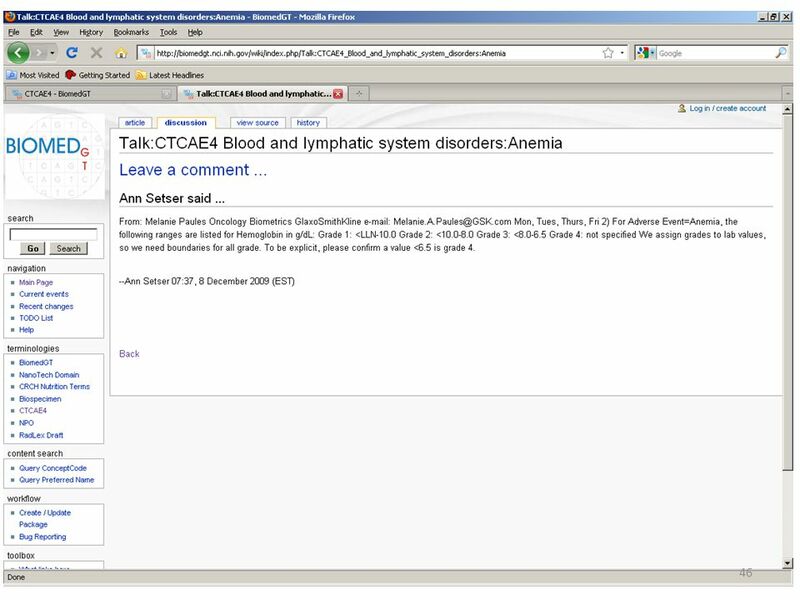 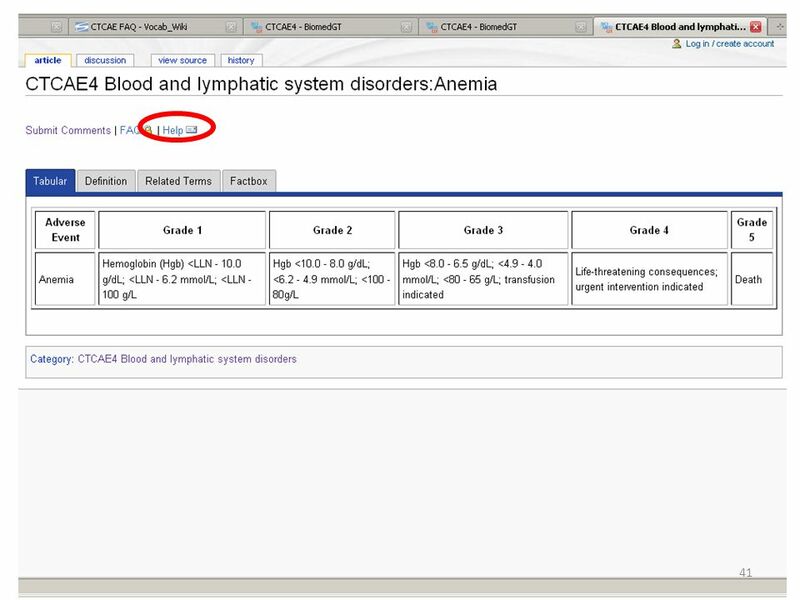 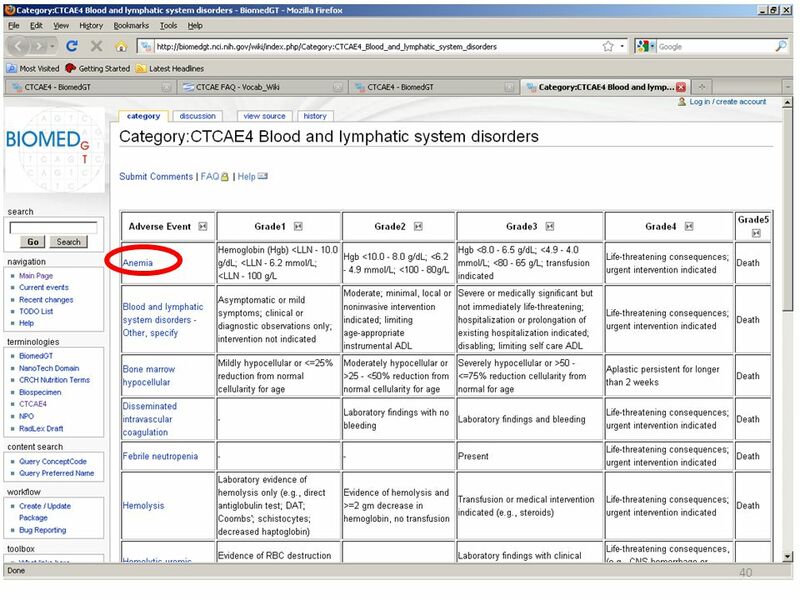 Copyright © 2001 College of American Pathologists SNOMED CT Clinical Content SNOMED CT contains highly detailed clinical vocabulary covering a broad range. 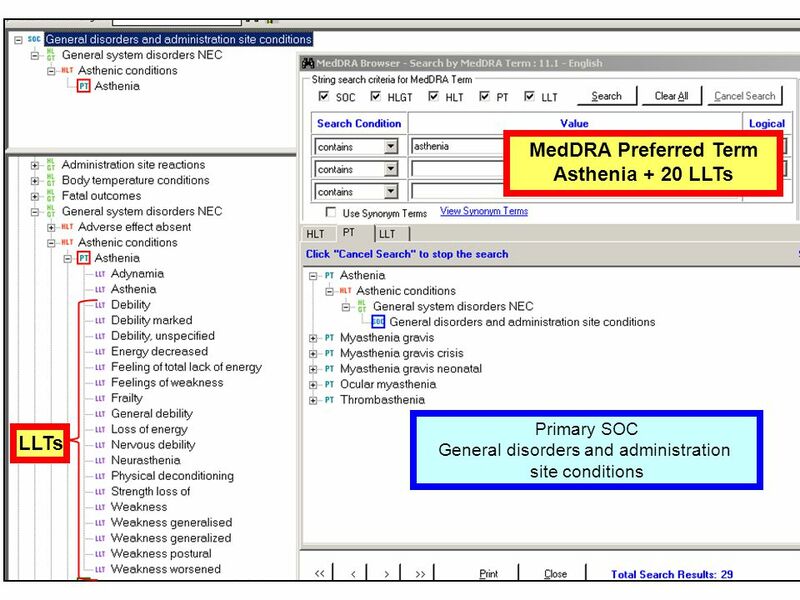 THE DICOM 2013 INTERNATIONAL CONFERENCE & SEMINAR March 14-16Bangalore, India Pediatric Echo Structured Reporting – An Experience Sharing Bindhu M Philips. 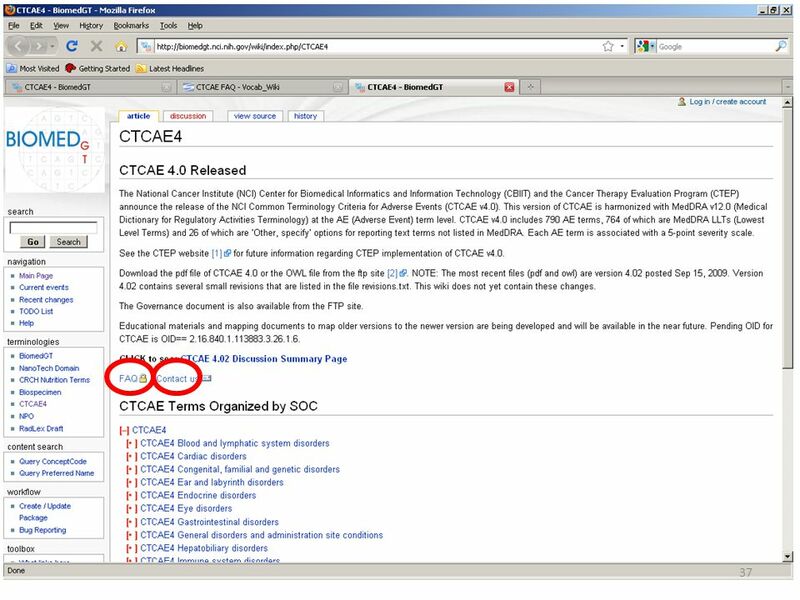 © OCS Biometric Support 1 MedDRA data as SAS formats Jim Groeneveld, OCS Biometric Support, Leiden, the Netherlands. 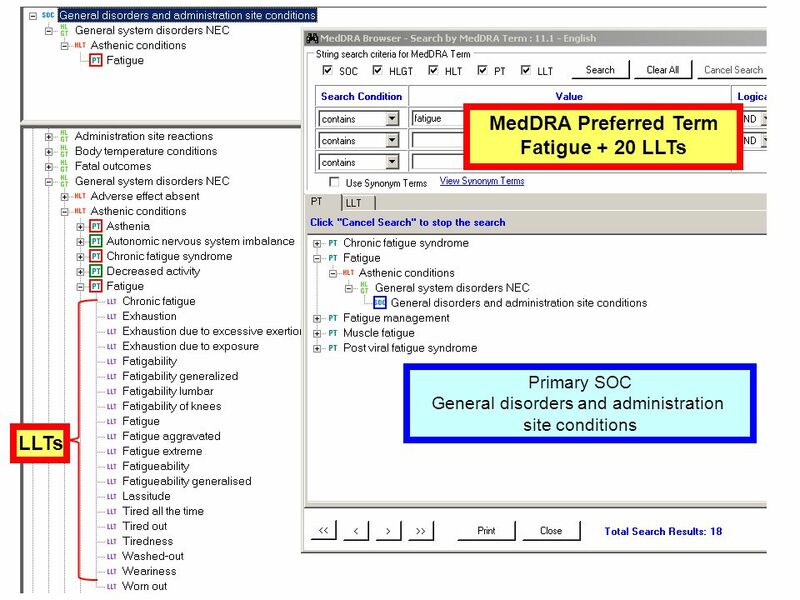 SGF 170 –2009 SAS Global Forum 2009. 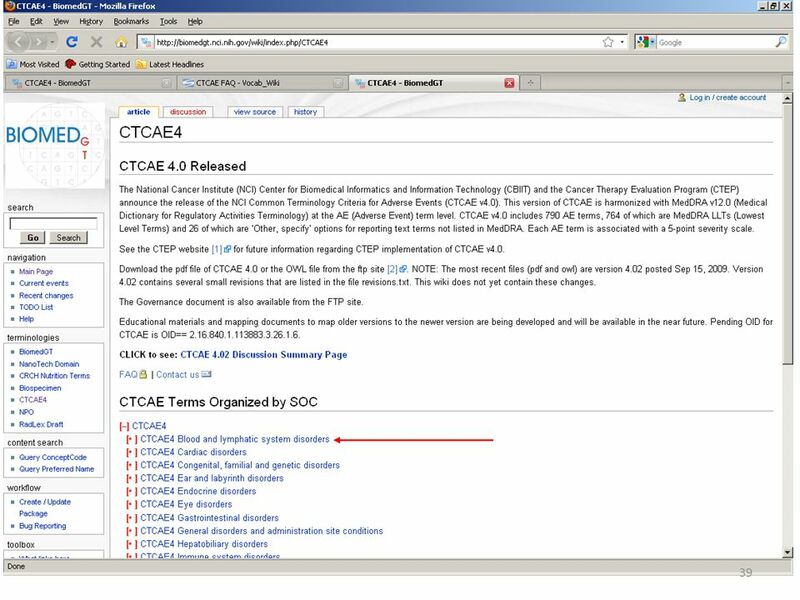 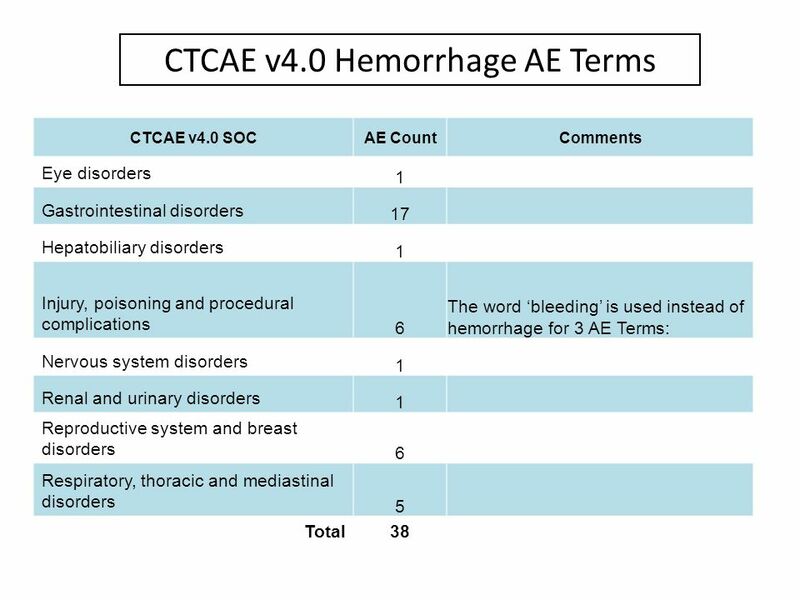 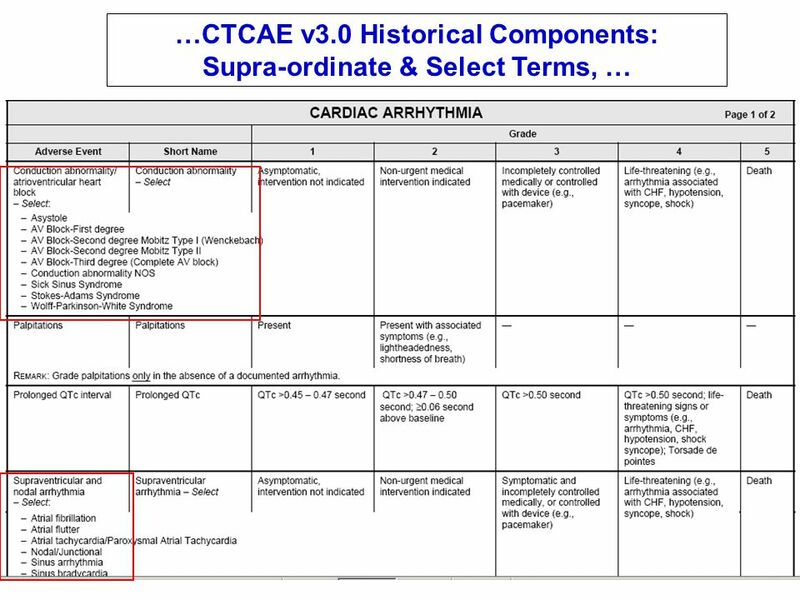 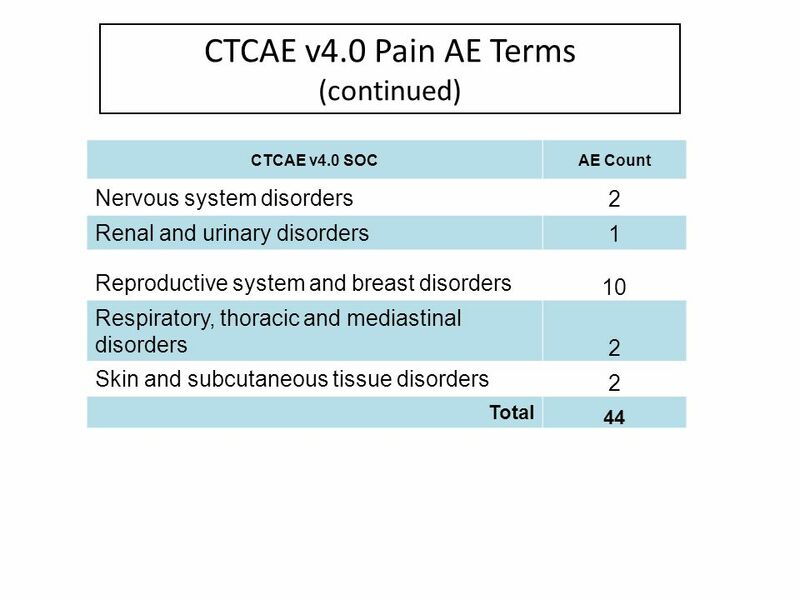 2.4 ICD-9-CM Chapter-Specific Guidelines Chapter guidelines refer to the chapters in the ICD-9 manual The ICD-9 manual contains 17 chapters plus sections. 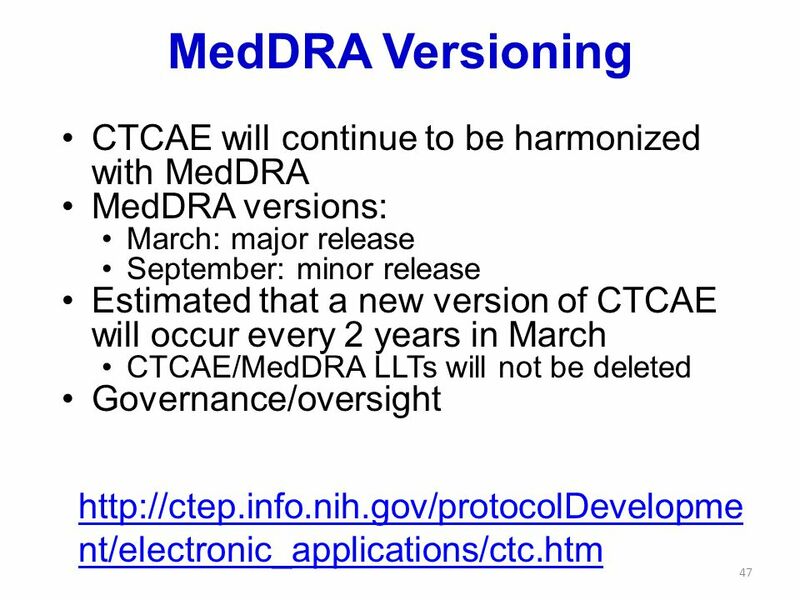 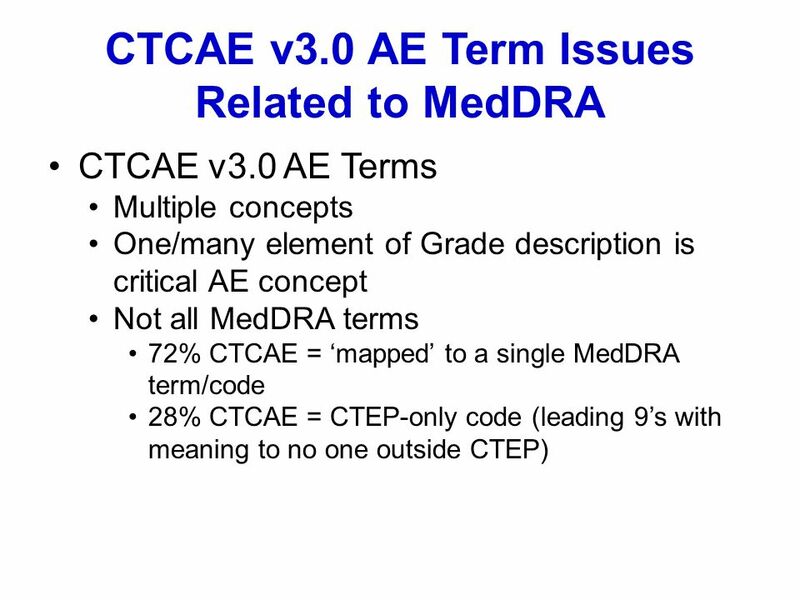 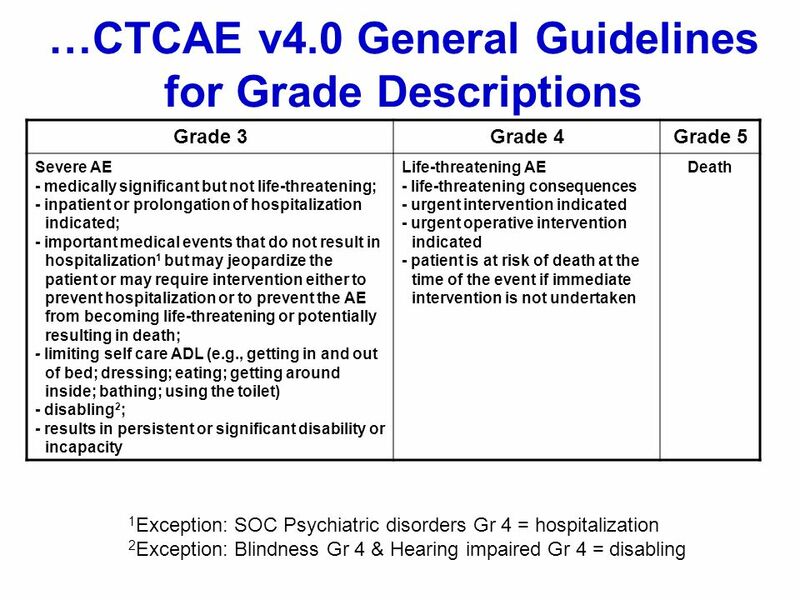 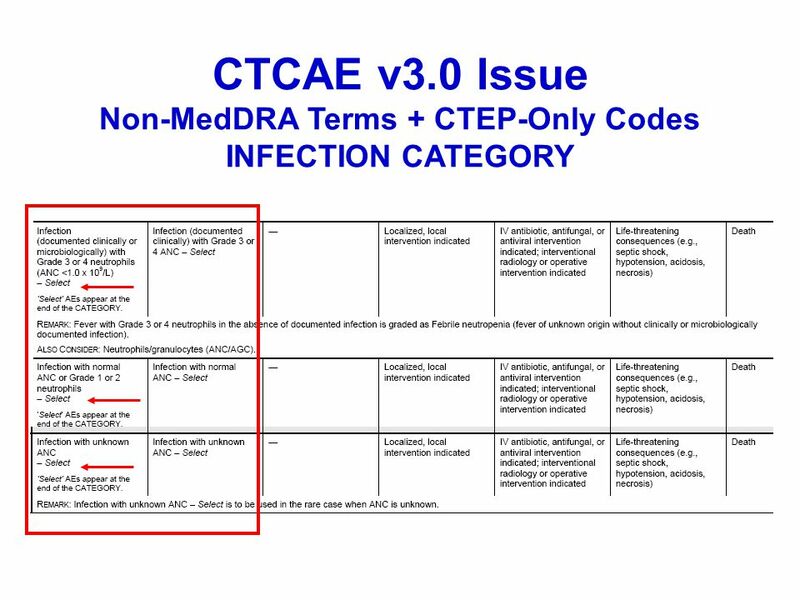 Don’t Be Afraid of ICD-10 Melonie Loutsch, CPC, ACS-EM April 26 th 2014. 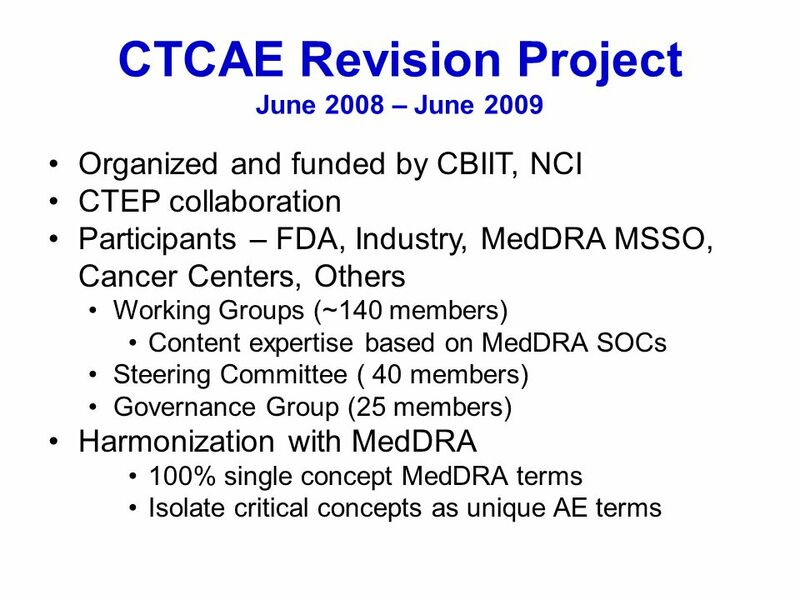 NCI Clinical Trials Reporting Program CTRP User Meeting July 6, 2011 Gene Kraus CTRP Program Director.